Woohoo! I'm back today with a really exciting collection for you! Anyone who knows me knows that I am a huge geek and I have an affinity for British TV. Put that together and you get a major Doctor Who Fan aka Whovian. 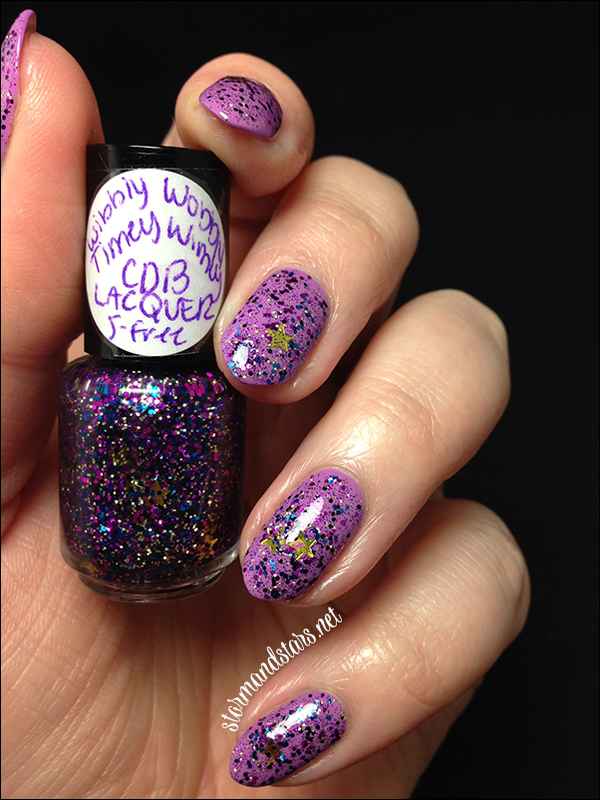 So when Cheyenne of CDB Lacquer told me she wanted to send minis of her new Doctor Who collection to me of course I said YES! 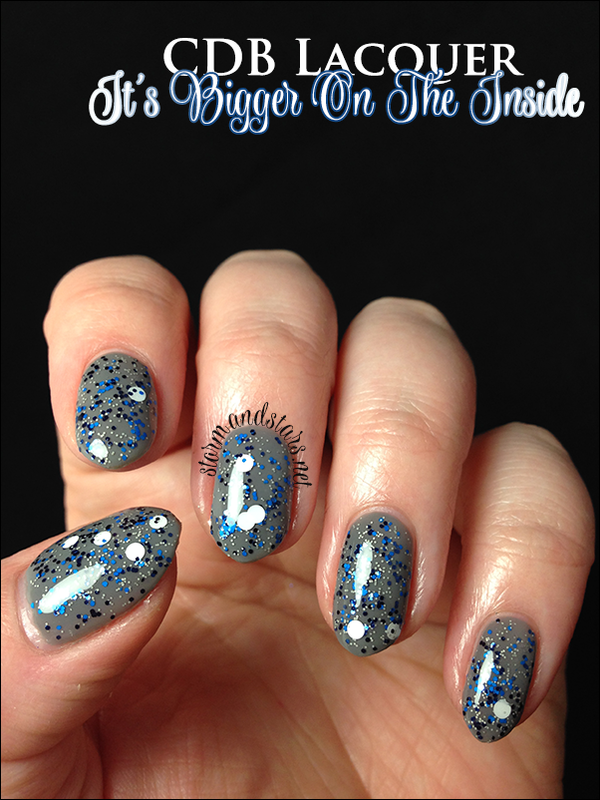 This collection consists of four glitter toppers with names inspired by the tv show Doctor Who. I am happy to say they're all unique in my collection and a lot of fun. First up I have a brightly colored number for you. This is Wibbly Wobbly Timey Wimey. I love the color combo on this topper and the stars add just the right amount of interest to the tiny hexes. You all know I love anything with stars! I used one or two (I think one, but I've been awfully scatter brained lately) coat of Wibbly Wobbly Timey Wimey over Cult Nails Love At First Sight to achieve this look. I used Wicked Fast topcoat to smooth everything over. 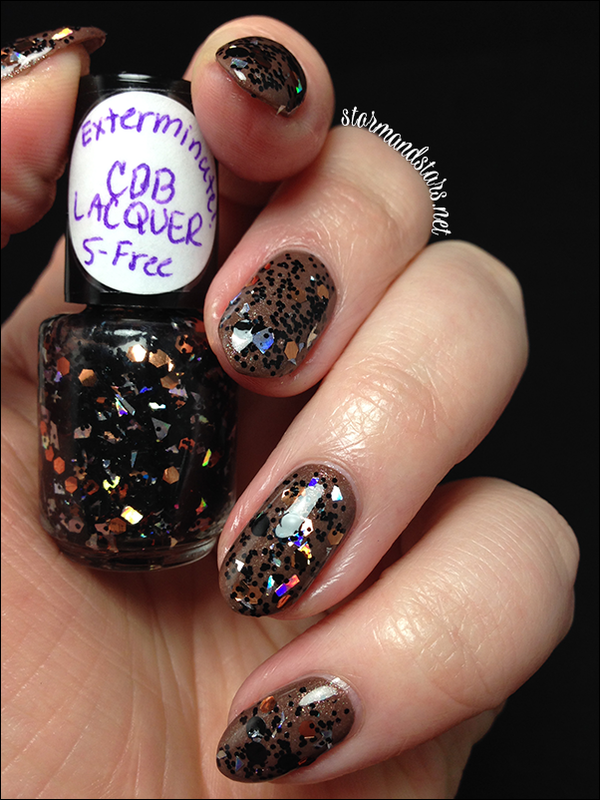 The formula on this was great and I didn't have any trouble getting the glitters out even from the mini bottle. My glitters stayed suspended even after sitting for a few days! This next lacquer is the most unique of this collection. EXTERMINATE! 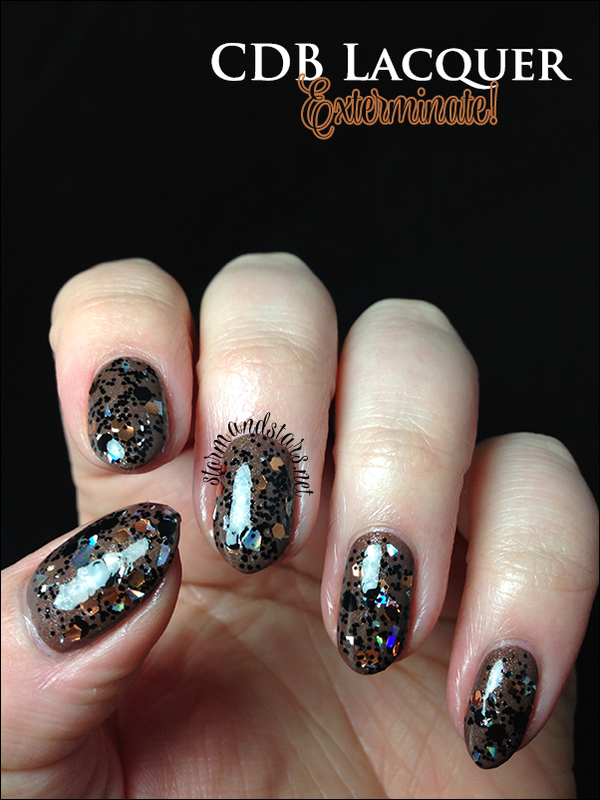 I love the penny colored hexes and the silver shards in this glitter topper. The combo is really unique and would look great over just about anything. I layered two coats of Exterminate! 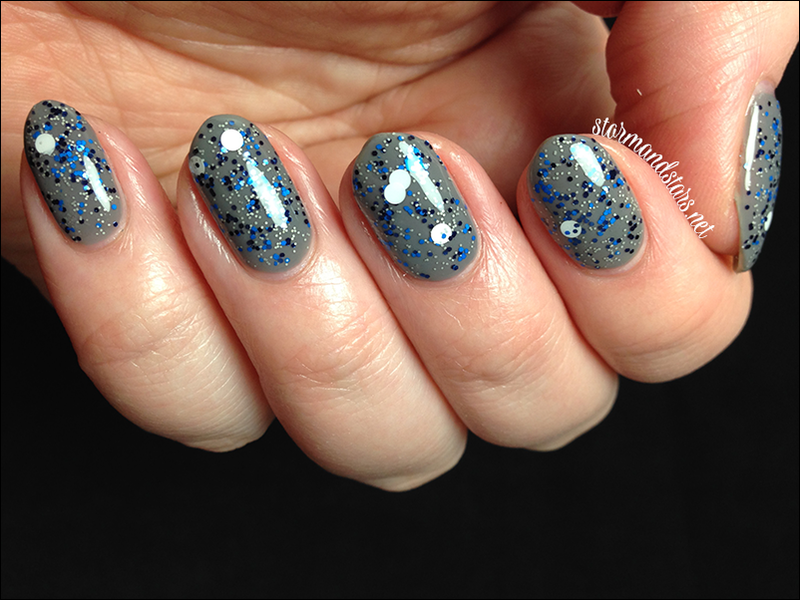 over a base of Cult Nails Power Thief and then topped the whole manicure with a coat of Seche Vite to tame those glitters. If I was going to wear this one, I would probably use a second coat of topcoat to make it perfectly smooth. The formula on this was once again, great, and I didn't have any trouble with the shards sticking up or not laying flat or anything. The glitter payoff was great. I Double Heart You is the softest of this collection. 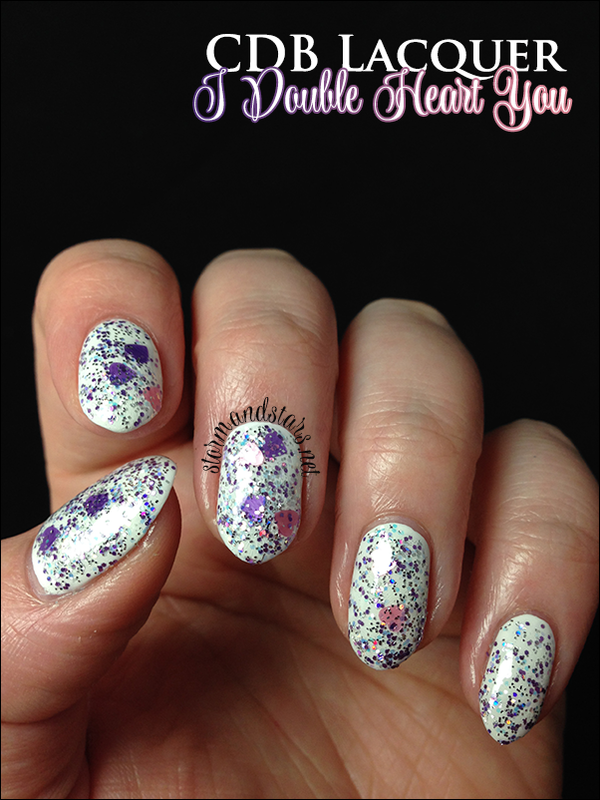 This lacquer is a shimmery topcoat of irridecent glitters and big pink and purple hearts in a clear base. 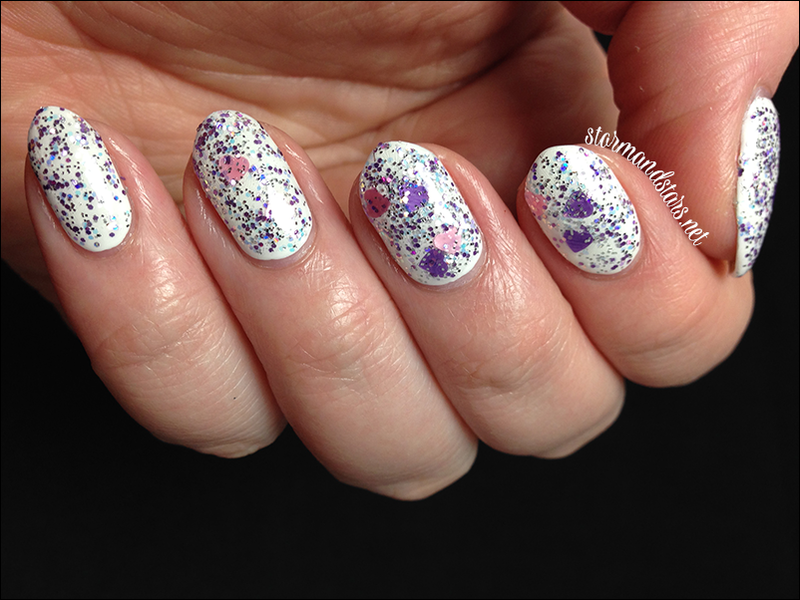 I used two coats of I Double Heart You over Sally Hansen White On for this look and then topped it with Seche Vite. I had a little bit of trouble with this topper being slightly on the thick side, but seeing as all the others were perfect, I think it may be a defective bottle or maybe the top didn't screw on completely before shipping. I do not think the formula issues were the fault of the maker. This last one was my favorite of the Doctor Who collection. Meet It's Bigger On The Inside. 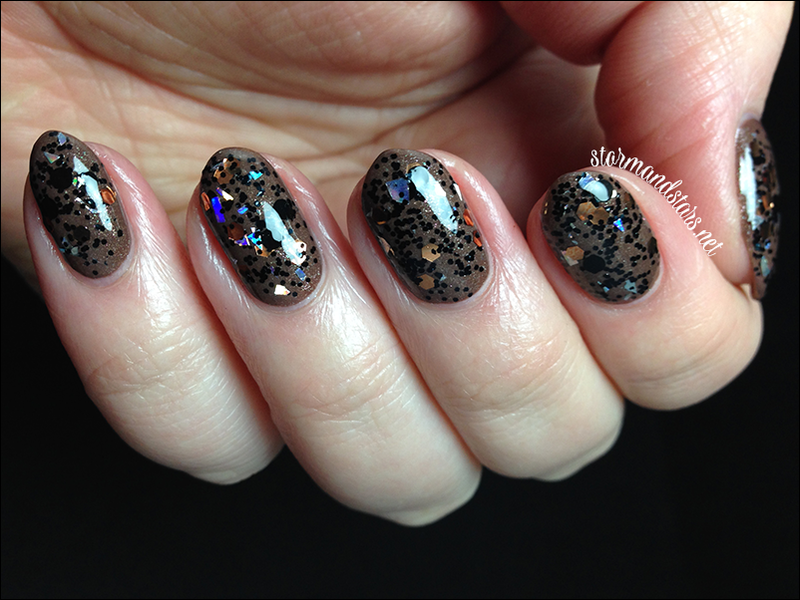 I used two coats of It's Bigger On The Inside over Loaded Lacquer Toasted Marshmallow. I topped it all with Wicked Fast for some shine. 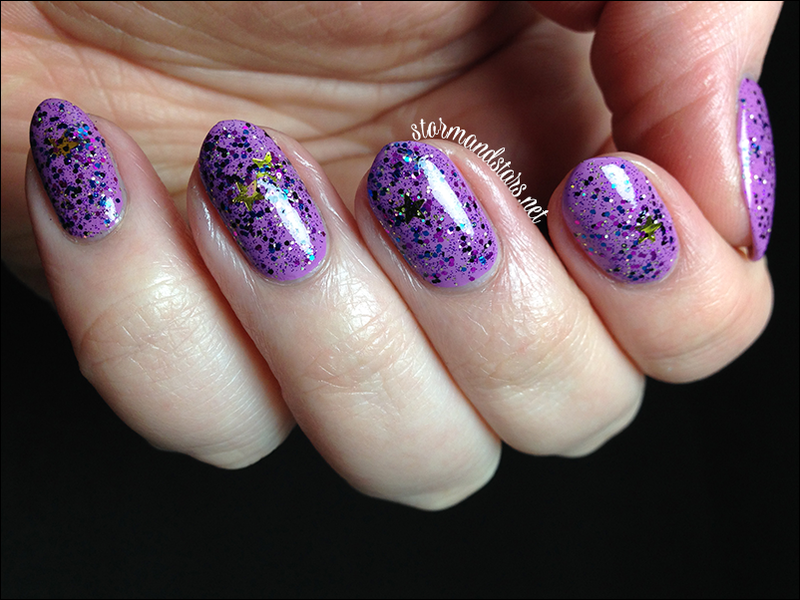 Perfect formula as usual and the glitter payoff is great. I'm still surprised by how well these glitters stayed suspended for me. Even the larger ones didn't seem to sink at all. Consensus? I love this collection. The only one I wasn't crazy about was I Double Heart You, and that is just personal preference. 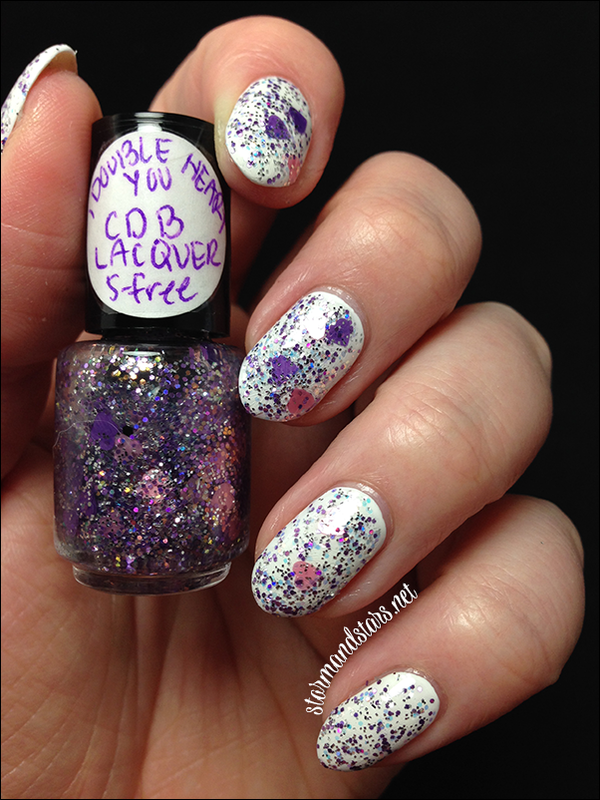 You can find this collection for sale in the CDB Lacquer SHOP and please follow CDB Lacquer on Instagram for news and more swatches of this and other collections. You can also follow Cheyenne on her own Instagram for some great art and swatches! Have a lovely day lacquerheads! they're all so nice!!! i really love the first one!